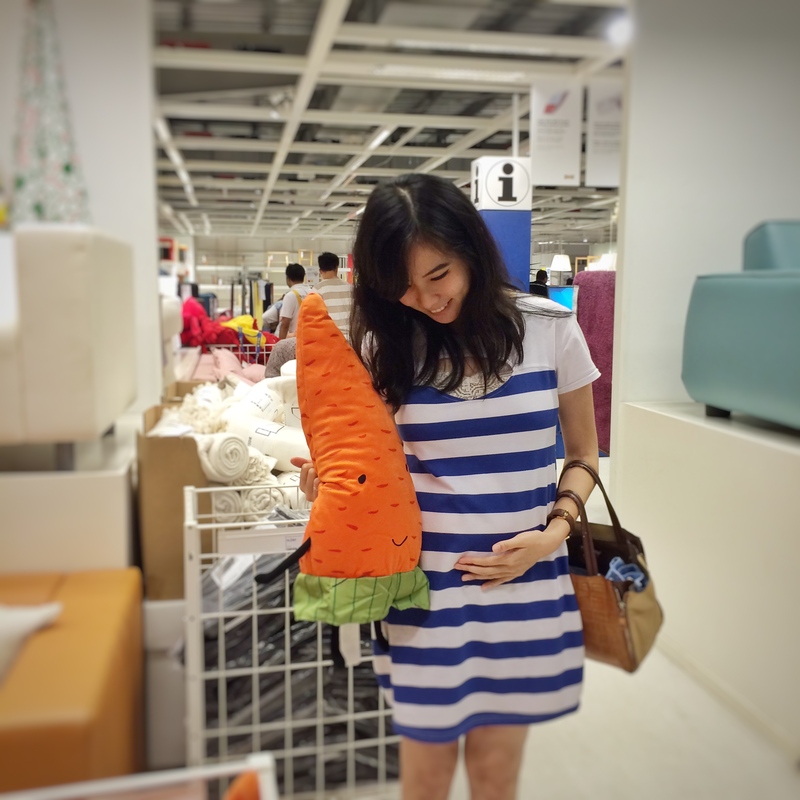 [ENG] Never really thought how pregnancy could really feels actually, but I believe it is God’s plans for every girl who never got pregnant to not really could relate how it feels – so there won’t be any fear of getting pregnant after marriage. Well, all I knew is, there’s going to be nausea, vomiting, etc but boy never really I actually know that It could feels so much more than that. Today, I want to do something different though, I really want to write about what I am going through in this pregnancy plus the tips and what God has really shown me about why those are happening to me. What’s really going on : Before actually dealing with Nausea & Vomiting, i thought okay it’s probably feels like we’re on a ship or something. While actually, it feels like there is something inside my intestines that is roaring all the time. It started around 7 weeks of pregnancy and got worse on 9w and 12w. Even drinking plain water makes me feel sick. It’s more like you are having a fever that never getting better until i kind of forget how’s the feeling of being normal. Seems like it is better when you vomit – and but ugh it’s never nice when vomiting – it’s far from the pregnancy vomiting on the tv show – in real life, i was like really pouring out everything i eat, sometimes i can even see the meat i ate yesterday in a whole. Why is it happening : When we are pregnant, there is certain hormones called HcG that is increased – and it’s very different with our hormones, that is why our body seems to be adapting to it. This hormones make our digestion goes pretty slow! What you eat is not actually digested right away like it always have and plus the nausea just make it worse because bad digestion plus nausea means you’d like to throw up bad. My tips : Honestly? i got no tips for this one beside of to be patience and be strong. I cried a lot around 7w – 12w but still thankful that well i know my symptoms may be bad for me at the moment but it could just be worse. I tried to eat nausea meds on 7w from my doctor but it just made me vomit more – so i tried another meds from my doctor also on 12w and finally it seems to worked and made me feel better. Simple tips maybe : try to eat whatever you like – don’t stressed about the things that you should eat but couldn’t — i believe whatever that is refused by my “stomach” means i no need it. Try some fruits, stick to the one you could eat – eat on small portions is okay at the moment, your baby is just a tiny human so he doesn’t really need a lot of foods and besides he is still eating from his yolk sac on your first trimester. About the “can’t drink” thing was also very hard for me – i had to drink some sweets / pocari sweat / watermelon instead. Make sure your blood sugar is at normal level because at this stage, boy you need a lot of sweets and sugar. What God has shown me : His grace & mercy for us all ! Do you realize that we are created perfectly?That He put every cells and hormones at the exact amount on our body? It is a small thing : hormones, we can’t even see it with our own eyes – but imagine what our body would be going through if those hormones are well increased at a little higher than we have now. Even a small increased HcG on pregnancy could make a 3 month of nightmare until it’s getting down. What’s really going on : I had backache and headache like every day. Especially because i’m a back office worker so i got to sit a lot. My back felt so tired especially around my shoulder and neck. Why is it happening : And again of course, the hormones. My tips : I would ask my husband to massage my back couple of times a day. Especially after i eat my meals and before getting sleep. I also put on some body patch on my back and forehead – it’s cold, it’s hot so somehow it makes me comfortable when i want to get some sleep. Sometimes i also put on some hot medicated oil on almost my upper back to have some comfort. What God has shown me : The love of my husband. How i have to see him doing all the things that i should be doing. I can’t cook (instead he prepares our meal), i can’t clean the house (instead he cleans it for me), i can’t clean the dishes (instead he cleans it for me), i can’t prepare his clothes when he needs it, i can’t walk a lot (instead he is the one who takes everything for me), i can’t make him juice to drink (instead he makes it for me), i can’t sleep well (instead he gives me his bolster to make me feel better – he even offer to sleep on the floor so i could have the whole bed but i strongly objected! come on! ), most of times he would support and comfort me when i felt hopeless and desperate going through it all. I see Christ’s love through him, i see how God is taking care of me through him, and it makes me more in love with God and my husband. Now we would wake up in the morning holding hands and say i love you everyday. What’s really going on : I am a person who fall asleep easily, really! So, having a hard time to sleep is really hard for me. I am a sleep lover person, let’s say i respect my sleep hours. Trouble sleeping means first, it’s hard to find a comfort position to sleep (my baby bump is not even growing rapidly) — second, i have to wake up couple of times along the night just to feel nausea or uncomfortable — third, i’m having weird dreams like everyday since i’m pregnant. Why is it happening : it’s getting boring to say, well, it’s the hormones. And plus you are actually carrying like a water ball with a human inside, so every time you are turning side, it seems like that water ball follows. Plus, you are still dealing with the nausea and the stress about the pregnancy so it seems like all of those are united and trouble your night hour. My Tips : Get more pillows! Sometimes i sleep with higher pillow on my head, and it’s always nice to have a back-up pillow on my back when i’m turning to one side. Make sure you are not getting sleep right after you eat — all of that then would come out and you’re not going to like it (well, at least i don’t like it). As i said before – i’d like to have my back massaged and being put patches. And final tips : pray. Always pray before you sleep. What God has shown me : To be grateful on everything we could do! Even if it’s just to sleep or to eat or to have a bath. Dealing with Eczema and Pregnancy really taught me to be grateful for every little things. When we can still able to do everything we want, be thankful and praise the Lord for He is good! What’s really going on : Usually when you’re bloating, you would then let it out through burping or by farting. On my first trimester, what is hard about bloating is that it hurts to have a gassy stomach while pregnant – i remember to have trouble getting sleep while feeling all the gas were making sounds inside of me. And not to mention that it is so hard to be able to just fart or burp. Almost every time i want to burp, i ended up nearly vomit. Why is it happening : Because the hormone slows down the work of our digestion muscles, it caused the bloating. My Tips : It will get better on 13w though, you’ll be easier to digest your food again, you’ll be easier to fart or burp. Meanwhile, just try your best to be patient, really. Plus i used to avoid fruits that caused bloating such as apples. What God has shown me : The love of our parents! Me and my husband live with his parents, at first i thought well it’s not going to be comfortable i guess, but boy how i am grateful to live with them! My mother and father in law are super. They really help me through these all. My mom not once complain about ” i’m not helping around ” — she cooks for our meal, wash the clothes and really care for me while i’m coping with all these symptoms. God has shown me the love of parents in law that we seldom notice and respect. Too many daughter in law avoids to be with their parents in law, we used to cope with the thought of “not comfortable” when they are around – while actually we could really get along pretty well in one house. I love them and they love us! This makes me feel to be more open about the baby to them after she’s born later — i mean they really help me too in taking care of the baby – so i won’t have to feel alarmed when they actually giving advice and stuffs to the baby. Ain’t we all feel a little intimidated sometimes with our parents in law’s advice? Well, don’t be – and i learned this through these all. What’s really going on : Suddenly my saliva seems to have no limit. And it turns out i have to spit VERY OFTEN like tens of times per minute! I always bring plastic bag wherever i go with some tissues because yes i spit everywhere and almost every time on my first trimester. My mouth feels bitter and holding to spit just make me want to throw up even more. I have to spit when i’m at office, watching tv, before & after meal, talking and even at night when i want to catch some sleep. It maybe sounds simple, but it’s pretty tiring to have to spit every time especially at night because then i have to lift my upper body a little to spit in the plastic couple times before i actually fall asleep. Why is it happening : okay, i’m going to blame the hormones again. The high level of HcG could messed with our taste buds. And feeling nausea cause us to not able to swallow our saliva like we usually did. My Tips : I would then eat some candy or something sour (this could decrease the nausea too, well at least while you’re eating them) – but we can’t eat tons of candies like every time, right? So, just bear with it and be patience because this too will get better once you’ve reached your second trimester. What God has shown me : To guard this mouth even more. Excessive saliva, nausea and bitter mouth made me limit my words. I only speak the important and urgent things for a while, sometimes i even used sign language to my husband haha.. But somehow a moment like this taught me to be careful with the words even more – to be more mature in words in a good way. Well, looks like God is teaching me to be a well mannered mother. So, these are some symptoms that i was going through on my first trimester. It’s not easy i should say – but it’s all getting better by each day, just like what i always said with faith in my prayers when i was in the mess “today is better than yesterday and tomorrow will be better than today!” — Will update you on my second and third trimester later for sure ! For all of you, expecting mothers — be strong! Remember, a strong kid needs a strong mother. 1 more thing that i learned from all these is that i am made stronger by each day, i am made stronger as a mother by each day and more ready to welcome my baby to the world. I know that with God’s grace, i will be able to never give up on my baby just like i don’t give up in my bad symptom moments. For you who are waiting to be pregnant, just trust God’s appointed time, i wouldn’t be able to go through all these if God hasn’t let me to wait for 6 months, if He hasn’t let me beg, cried my heart out & asking for a baby so bad. [IND] Sebenarnya tidak pernah benar-benar saya bisa merasakan bagaimana rasanya hamil, tetapi saya percaya bahwa ini merupakan salah satu rencana Tuhan bagi setiap wanita yang belum hamil agar tidak timbul ketakutan sendiri untuk hamil saat sudah menikah nanti. Yang saya tahu hanyalah okay akan terasa mual – muntah tapi wow tak pernah saya tahu ternyata rasanya jauh dari hanya sekadar mual dan muntah. Hari ini saya ingin menulis sesuatu yang berbeda, saya rindu menulis apa saja yang saya alami selama trimester pertama ini plus beberapa tips dan apa yang Tuhan tunjukkan kepada saya mengapa semua ini terjadi. Apa yang sebenarnya terasa : Sebelum berurusan dengan mual & muntah, saya sempat berfikir okay mungkin akan terasa seperti mabuk laut. Dimana sesungguhnya, itu terasa seperti organ dalam saya berteriak setiap waktu. Ini dimulai dari minggu ke-7 dan mencapai puncaknya di minggu ke-9 dan ke-12. Bahkan minum air putih membuat saja sangat mual. Ini lebih terasa seperti sakit yang tak kunjung membaik hingga saya lupa rasanya normal. Dan memang terasa lebih baik saat muntah – namun kembali bahkan sehabis muntah, mual tersebut tetap terasa. Sangat jauh dibandingkan dengan para artis yang muntah akibat hamil di sinetron – dalam realita, saya seperti mengeluarkan seluruh isi perut saya, bahkan terkadang saya masih bisa melihat daging utuh yang saya makan kemarin. Kenapa ini terjadi : Ketika hamil, ada hormon yang disebut HcG, hormon ini sangat berbeda dengan hormon dalam tubuh kita sehingga sepertinya tubuh kita berusaha untuk beradaptasi. Hormon ini membuat otot pencernaan menjadi relax sehingga tidak dapat mencerna makanan dengan baik seperti biasanya, ditambah dengan rasa mual, hal ini membuat saya selalu ingin muntah. Tips Saya : Sejujurnya tidak ada tips yang bisa membantu yang bisa saya berikan kecuali bersabarlah dan kuatkan hatimu. Saya menangis beberapa kali dalam minggu ke-7 sampai ke-12 kehamilan saya namun saya bersyukur mengetahui bahwa walaupun gejala kehamilan yang saya alami tidak nyaman namun itu bisa saja jauh lebih buruk. Saya mencoba meminum obat mual di minggu ke-7 namun justru membuat saya semakin muntah – kemudian saya coba lagi obat mual lain dari dokter saya di minggu ke-12 dan akhirnya itu bekerja dan membuat saya merasa lebih baik. Puji Tuhan. Mungkin tips sederhana lainnya : cobalah makan apa yang kamu sukai – jangan terlalu stres mengenai hal-hal yang harus kamu makan tapi tak bisa termakan — saya percaya apapun yang perut saya tolak berarti saya tak membutuhkannya. Cobalah beberapa buah dan makan yang bisa dimakan — makanlah dalam porsi yang kecil, dalam trimester pertama, bayi kita masih berukuran sangat kecil sehingga tidak membutuhkan banyak makanan lagipula janin masih makan dari yolk sac nya sendiri. Perihal tidak bisa minum, ini juga sangat berat bagi saya dimana saya harus minum yang manis / pocari sweat / air semangka. Pastikan kadar gula kamu dalam level normal karena pada masa-masa ini kamu akan sangat membutuhkan yang manis. Apa yang Tuhan ajarkan : Kasih dan anugrahNya ! Tidakkah kamu sadar bahwa kita diciptakan begitu sempurna? Bahwa Dia meletakkan setiap sel dan hormon dalam jumlah yang sempurna dan pas dalam tubuh kita? Hal yang sangat kecil, hormon itu, bahkan tak terilhat oleh mata, namun bayangkan ketika tubuh kita kelebihan sedikit saja hormon itu. Bahkan sedikit ketambahan hormon HcG selama 3 bulan kehamilan telah membuat 3 bulan ini terasa begitu berat sampai akhirnya hormon tersebut berkurang. Apa yang sebenarnya terasa : Saya mengalami sakit punggung dan kepala setiap hari. Terlebih karena saya bekerja di balik meja sehingga saya harus duduk dalam waktu yang lama. Punggung saya terasa begitu lelah terutama di bagian bahu dan leher. Tips Saya : Saya biasanya meminta suami saya untuk memijat punggung saya beberapa kali dalam sehari terutama setelah makan dan sebelum tidur. Saya juga meletakkan beberapa koyo pada punggung dan kepala – hangat dan pedasnya koyo membuat saya merasa sedikit lebih nyaman ketika ingin tidur. Terkadang saya juga menggunakan minyak angin pedas pada hampir seluruh bagian atas punggung saya. Apa yang Tuhan ajarkan : Kasih seorang suami! Bagaimana saya harus melihatnya melakukan seluruh hal yang seharusnya saya lakukan. Saya tidak bisa memasak (sehingga dia yang harus menyiapkan makanan kami), saya tidak bisa membersihkan rumah (sehingga dia yang harus menyapu dan mengepel rumah), saya tidak bisa mencuci piring (dan dia yang mencucikannya untuk saya), saya tidak bisa berjalan banyak (sehingga dia yang mengambil apa yang saya butuhkan), saya tidak bisa membuatkan jus untuknya (dan dia yang membuatkannya untuk saya), saya tidak bisa tidur nyenyak (sehingga dia memberikan gulingnya agar saya merasa lebih nyaman – dia bahkan menawarkan diri untuk tidur dilantai agar saya bisa lebih leluasa namun saya tolak mentah-mentah), seringkali dia juga menguatkan dan menenangkan saya dikala saya merasa tidak kuat lagi dan terbeban. Saya melihat kasih Yesus melaluinya, saya melihat bagaimana Tuhan memperhatikan saya melaluinya dan itu membuat saya semakin megasihi Tuhan dan suami saya. Hari-hari ini kami akan bangun pagi dan menggenggam tangan masing-masing sambil berkata “i love you” setiap hari. Apa yang sebenarnya terasa : Saya adalah orang yang sangat mudah untuk tidur, serius! Jadi, berurusan dengan sulit tidur benar-benar berat bagi saya. Saya adalah orang yang menghargai waktu-waktu tidur. Sulit tidur berarti pertama, sulit menemukan posisi yang nyaman untuk tidur (bahkan disaat perut ini belum bertumbuh besar) — kedua, saya harus bangun berkali-kali di tengah malam hanya karena mual dan ketidaknyamanan — ketiga, saya lebih sering bermimpi aneh semenjak hamil. Kenapa ini terjadi : Selain hormon, kamu sebenarnya seperti sedang membawa bola air yang berisi manusia di dalamnyam sehingga setiap kali ingin berputar ke kanan atau ke kiri, sepertinya bola air itu mengikuti. Ditambah lagi, jika kamu masih berurusan dengan mual dan stres mengenai gejala kehamilan ini — sepertinya semua bersatu mengganggu jam malammu. Tips Saya : Gunakan lebih banyak bantal! Terkadang saya harus tidur dengan kepala lebih tinggi, dan akan terasa lebih nyaman jika ada bantal di balik punggung ketika kita berputar sisi. Pastikan kamu tidak berbaring setelah makan karena akan cenderung untuk makanan itu keluar kembali dan pastinya akan sangat tidak nyaman seperti itu. Saya juga suka punggung saya dipijit dan di pakaikan koyo sebelum tidur. Tips terakhir : Berdoalah. Berdoalah senantiasa. Apa yang Tuhan ajarkan : Untuk bersyukur atas segala yang kita dapat lakukan bahkan jika itu hanya untuk tidur, makan atau mandi. Memiliki pengalaman dengan eksim akut dan kehamilan benar-benar mengajarkan saya untuk bersyukur atas hal-hal kecil. Ketika kita masih bisa melakukan segala yang kita ingingkan, bersyukurlah dan pujilah Tuhan atas kebaikan dan kemurahanNya. Apa yang sebenarnya terasa : Biasanya ketika kita kembung, kita akan otomatis mengeluarkannya melalui sendawa atau buang angin. Dalam trimester pertama saya, apa yang berat dari perut kembung adalah bahwa terasa sakit ketika perut menyimpan gas selagi hamil — saya ingat saya sangat kesulitan untuk tidur ketika merasakan gas itu berbunyi dan berputar di dalam perut saya. Dan belum lagi, selagi hamil ini sangat sulit bagi saya untuk bersendawa atau buang angin. Setiap kali saya mencoba bersendawa maka pada akhirnya saya hampir muntah. Kenapa ini terjadi : Karena hormon tersebut melemahkan kinerja otot pencernaan sehingga berakibat pada kembung. Tips Saya : Hal ini akan membaik pada minggu ke-13, kamu akan merasa lebih mudah untuk mencerna makanan kembali, kamu akan lebih mudah untuk bersendawa atau buang angin. Sementara di trimester pertama ini, cobalah untuk bersabar, sungguh! Plus biasanya saya akan menghindari buah yang membuat kembung seperti contohnya apel. Apa yang Tuhan ajarkan : Kasih orang tua! Saya dan suami tinggal bersama orang tuanya. Pertamanya saya berfikir tentu tidak nyaman untuk tinggal bersama mereka, namun sungguh saya bersyukur tinggal bersama mereka! Mama dan papa mertua saya begitu super! Mereka sangat menolong saya dalam menjalani segala gejala ini. Mama tidak pernah sekalipun mengeluh mengenai “saya yang tidak bisa membantunya” — mama yang memasak untuk kami juga, mencuci pakaian kami dan begitu perhatian terhadap saya sementara saya bergulat dengan segala gejala ini. Tuhan telah menunjukkan pada saya kasih dari mertua yang sangat jarang kita hargai. Terlalu banyak menantu yang menghindari mertua mereka, kita terbiasa dengan pola pikir bahwa berhubungan dengan mertua sangat tidak nyaman — padahal sebenarnya kami berhubungan dengan sangat baik — kami mengasihi mereka dan demikian sebaliknya. Hal ini mengajarkan saya untuk lebih pengertian terhadap mertua, terhadap segala nasihat dan masukan dari mereka bahkan untuk anak kami nanti. Bukankah kita selalu diintimidasi oleh pikiran “mertua yang ikut campur”? Patahkan itu! Tuhan tidak menyatukan kita dengan keluarga mereka untuk kemudian menumbuhkan perpecahan. Apa yang sebenarnya terasa : Tiba-tiba saja air ludah saya seperti tidak ada habisnya. Akibatnya saya harus meludah SANGAT SERING, mungkin puluhan kali dalam semenit! Saya selalu membawa kantong plastik dan tissue kemanapun saya pergi karena saya meludah dimanapun dan hampir setiap waktu dalam trimester pertama ini. Mulut saya terasa pahit dan menahan untuk meludah membuat saya terlebih ingin muntah. Saya meludah di kantor, saat menonton tv, sebelum & setelah makan, saat berbicara bahkan saat ingin tidur. Mungkin ini terdengar sederhana, namun rasanya sangat melelahkan harus meludah setiap saat terutama ketika malam hari dimana saya harus bangun kembali beberapa kali untuk meludah sebelum akhirnya tertidur. Kenapa ini terjaid : Baiklah, saya akan kembali menyalahkan hormon ini. Tingginya HcG mengacaukan fungsi perasa lidah kita selain itu rasa mual membuat kita tidak bisa menelan air ludah yang biasanya kita telah tanpa sadar. Tips Saya : Saya biasanya mencoba makan permen atau sesuatu yang asam (ini dapat mengurangi rasa mual juga, paling tidak selama kita memakannya) – tapi tak mungkin bagi kita untuk selalu memakan permen kan? Jadi, bersabarlah karena ini juga akan membaik di trimester kedua. Apa yang Tuhan ajarkan : Untuk menjaga mulut ini lebih lagi. Kelebihan air ludah, mual dan mulut pahit membuat saya harus membatasi kata-kata. Saya hanya berbicara yang penting saja selama beberapa waktu, bahkan terkadang saya menggunakan bahasa isyarat dengan suami haha. Namun hal ini sedikit banyak mengajarkan saya untuk lebih berhati-hati dengan kata-kata – untuk lebih dewasa menggunakan kata-kata. Yah, sepertinya Tuhan sedang mengajarkan saya untuk menjadi seorang ibu yang bijak dan dewasa dalam perkataan. Jadi, inilah beberapa gejala yang saya lalui dalam trimester pertama saya. Sangat tidak mudah harus saya katakan – tetapi segalanya membaik dari hari ke hari, seperti yang selalu saya imani dalam doa-doa saya bahwa “Hari ini lebih baik dari kemarin, dan besok pasti lebih baik dari hari ini” — Tunggu update-an saya mengenai trimester kedua dan ketiga saya di post-post mendatang. Untuk semua calon ibu — kuatkanlah hatimu! Ingat, seorang anak yang kuat butuh seorang ibu yang kuat! 1 hal yang saya pelajari lagi dari kesemuanya ini adalah bahwa saya semakin dikuatkan dari hari ke hari, saya merasa dikuatkan menjadi seorang ibu dan siap menyambut kehadiran anak saya nanti. Saya akan menjadi seorang ibu yang tak pernah menyerah terhadap anak saya seperti saya tidak menyerah pada gejala-gejala yang berat ini. Bagi semua yang sedang mengharapkan anak, percayalah pada waktu yang ditetapkanNya, saya tidak mungkin bisa bertahan dalam segala gejala kehamilan ini jika Tuhan tidak mengijinkan saya menunggu dulu selama 6 bulan, jika Tuhan tidak mengijinkan saya berlutut menangis memohon seorang anak padaNya. but u r so lucky cause ur eczema didnt show up. Haha iya ni raisa.. Kamu juga harus smangat ya! Apalagi plus eksim pasti berat banget 😦 .. Tp sbr bntar lagi ni kamu uda lahiran yay!! !